The Henkel Consumer Adhesives division has some of the biggest brand names in the Adhesives sector such as Loctite, UniBond, Sellotape, Pritt, Solvite, No More Nails. We are proud of our long standing relationship with Henkel – we were originally appointed to manage Henkel’s media advertising activity in 1997. In the time since we have built a strong and mutually beneficial relationship. 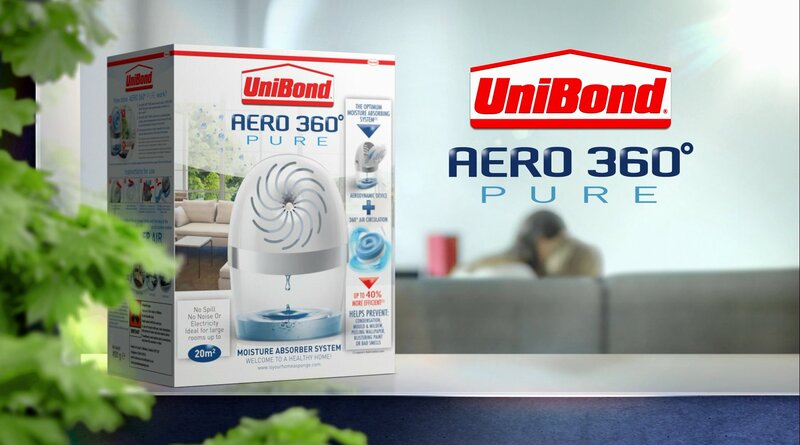 With its UniBond Moisture Absorber product range, Henkel have had significant success with UniBond Aero 360, a Moisture Absorber for the home. Our key campaign objective is to get to the product into as many homes as possible in the earliest time frame and drive repeat purchase of the refill tabs. Firstly we felt that to get our message out and to enable product demonstration in situ, TV would provide the best media platform, particularly through its characteristics of high reach and use of sound, movement and colour. We then identified areas of most usage and formed a target profile based on this information. With the help of TGI we selected both programmes and TV stations with the highest propensity of the defined target. We recommended that after initial launch impact the campaign should feature key tactical controls to bring the benefits of weather sensitive delivery and, in consequence, maximise longevity. To keep UniBond Aero 360 top of mind among the target audience we introduced a Rainfall campaign. What did this incorporate? Firstly spots ran specifically when it rained or humidity reached 90+ in a 24hr period. ITV 1 was selected as the station we should use, with its ability to provide regional campaigns through its 13 individual regions; this allowed us to advertise for example in Lancashire through Granada TV if it reached any of our defined criteria for rainfall or humidity, while not advertising across the Pennines in Yorkshire if it did not. We negotiated free pre and post research through our contacts at a major TV station. 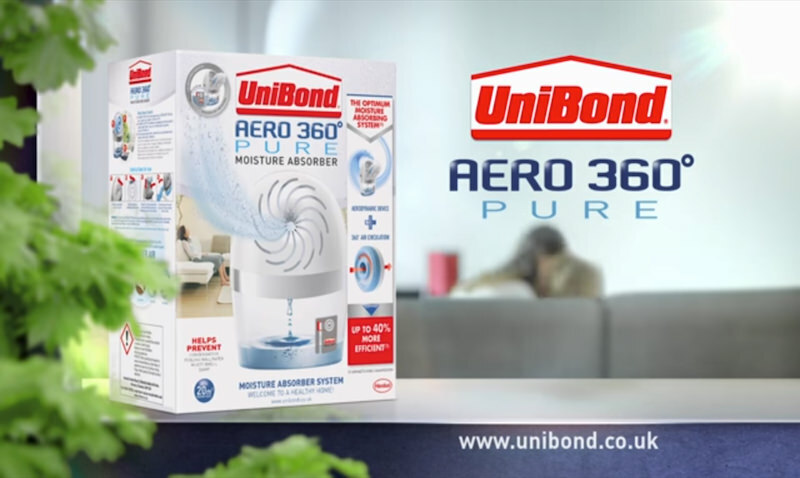 Awareness and understanding of the benefits of Moisture Absorbers in the home has significantly increased as a result of the UniBond Aero 360 TV campaign. This has had a significant impact on the level of purchase consideration for the product category. 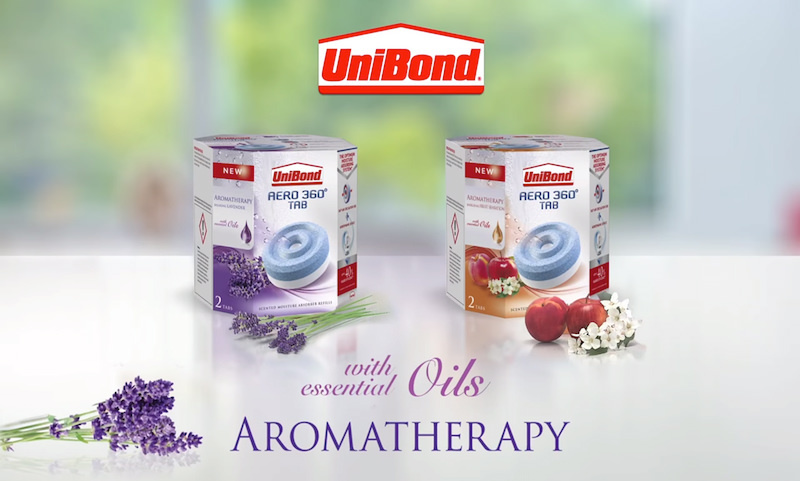 UniBond Aero 360 is the most recalled non-electric moisture absorber brand and has seen small, directional uplifts post campaign. Brand Favourability and Brand Consideration have been positively impacted as a result of the Unibond Aero 360 advertising campaign. The campaign generated a strong level of cut through among respondents. Contact us using the information below, or fill out our form.